Please help us improve our library services by filling out a Library Services Survey. 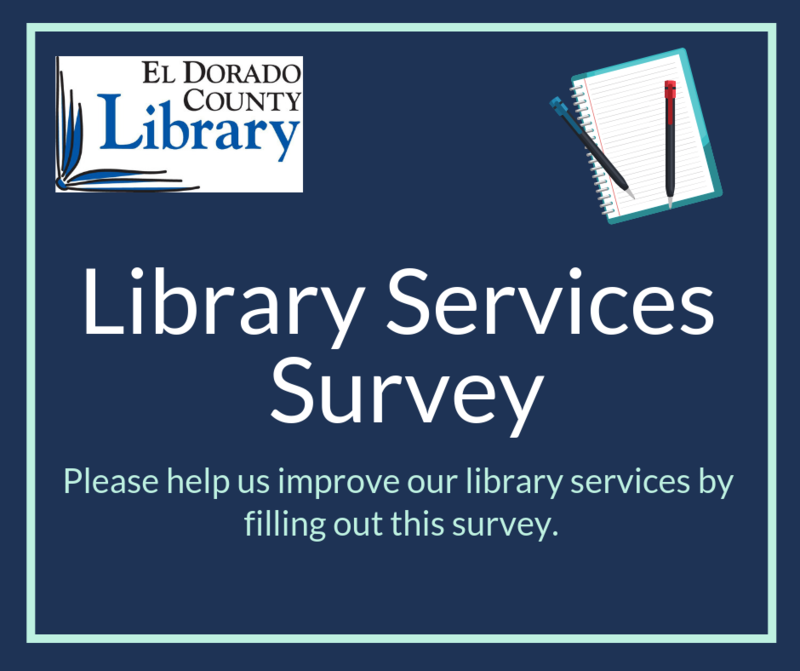 The survey can be completed and submitted online at www.eldoradolibrary.org. The direct link to the survey is https://goo.gl/forms/2wRUpGIzO8BXkCFg1 Or go to any El Dorado County Library branch to complete a paper survey.